David Ranich has an extensive corporate and business law practice, regularly advising a variety of clients in real estate, banking, transactional, and trust and estate planning matters. A highly respected real estate attorney, Mr. Ranich handles matters ranging from development and financing, to taxation, contracting, and land use regulation. He represents businesses in the organization or formation of the business, mergers and acquisitions, and the sale of businesses. He is proficient in drafting business contracts and shareholder agreements. Mr. Ranich assists clients in instituting estate planning to reduce the ultimate tax liability of their estates. He also implements clients’ intentions in the distribution of their assets, and maximizes the value and growth of their assets during their lifetimes. In addition to his transactional practice, Mr. Ranich litigates commercial matters, and is a certified alternative dispute resolution mediator. 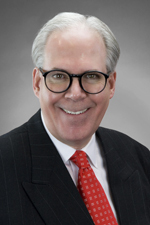 Mr. Ranich joined Hinshaw & Culbertson LLP in April 2007. Previously he was a partner at Burke Costanza & Cuppy LLP since 1988. Mr. Ranich began his legal career in 1977 as a law clerk for the late Phil M. McNagny, Jr., District Judge for the U.S. District Court, Northern District of Indiana, Hammond Division. From 1978 to 1980, he was an associate of Wilson, Donnesberger & Reid, a specialty civil practice firm emphasizing banking, corporate, real estate development and commercial work. Mr. Ranich spent the next seven years at Murphy McAtee Murphy & Costanza, where he became a partner in 1984. Mr. Ranich is certified by the Indiana Commission for Continuing Legal Education as an alternative dispute mediator.